Oh how time flies – it’s Friday!!! This was my first real week of work, it really gave me a taste of what my life will be like the next year. One week is a small taste, but my schedule is mostly the same from week to week except for the weeks that I don’t teach at all (I don’t teach during midterm exam time)…so apparently those days I get to come to school and do nothing again, like I did over summer vacation. So my new job is writing one lesson plan per week and I teach that lesson 6 times. Twice on Monday, Twice on Tuesday and Twice on Wednesday. I work with 3 different teachers, so not only is the atmosphere different because there are different students, but also each teacher operates a little differently. It will be interesting to see how that affects my teaching in each of the classes. Overall things were good with my lesson. The game that I had the students play was great – but the directions were much too complicated. Therefore, the ratio of explanation to actual talk time for students was not a good one in my opinion. Therefore, I have altered next week’s lesson plan accordingly. I think my teachers were happy with how class went, it is hard to tell because of the communication and culture gap, but one of my teachers today told me that she was very happy with class. She said that even though it was my first time in front of this group of kids and in Japan, it didn’t seem like it because I was very confident, had great pace (ugh…so hard to talk slow sometimes!) and good volume (yes….I speak very loud, I love my teacher voice haha). I am going to assume that the other teachers share her opinion, so I’m overall happy. I really could use more work, I was done with everything by Wednesday (minus making a copy here and there), so yesterday and today were mainly dedicated to me reading, planning for Tokyo, and just relaxing and trying to not fall asleep at my desk haha. I will begin teaching a 2 hour adult conversation class in October, so that will fill up one night of my week and a little more of my workday time to maybe make me feel as if I am doing more! I also have a language exchange set up with one of my predecessor’s friends, so we will be meeting weekly and I will help him with his English and he will help me with my Japanese. I hope that it will be helpful! Woo! Alright, that was sorta dry and boring, but at least you have an idea of my school life. 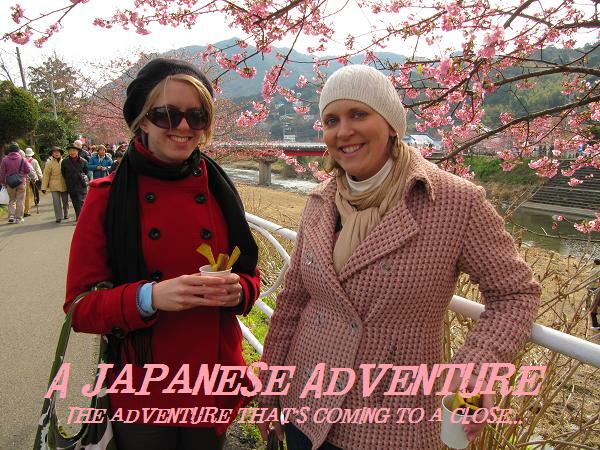 I am headed to Tokyo this weekend with Jenny! Can’t wait to get out and about and sightsee! Hope all is well at home!